Bertrand Traore was used in 46 of the matches in the present term. In terms of preferred feet, Bertrand Traore is a left footer, like 31% of Olympique Lyon. With a height of 1.77m, he undercuts Olympique Lyon's mean tallness by 3. 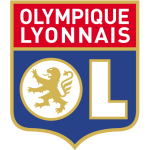 At present, Olympique Lyon is in second place in UEFA Champions League (group F), in eleventh place in Int. Champions Cup, while in Ligue 1 (France) they are in third place. The 23-year-old Bertrand Traore was born on September 6, 1995 and is therefore one year younger than his team's average age. In July 2017, French forward Bertrand Traore joined Olympique Lyon (France), whom he is still playing for. Already 22 times a card was given to him in his tenure. He impressed in Eredivisie 14/15 (Netherlands), reaching his personal record of match appearances as well as goals. 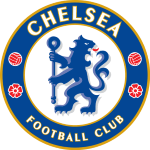 Three years and 5 months was the maximum period Bertrand Traore ever played in a team, which is Chelsea FC (United Kingdom). He weighs 72kg which is 1kg less than his team's average heftiness. Throughout his professional career, he participated in 211 games, the last appearance being nine days ago. While being substituted more out than in this season, we can observe that this trend came from last season. Moreover, Bertrand Traore shows 100 out and 50 in substitutions in total. He completes Olympique Lyon's offensive department, alongside players like Maxwel Cornet, Moussa Dembele, Reo Griffiths, Memphis Depay, Amine Gouiri, Nabil Fekir, Martin Terrier and Lenny Pintor. 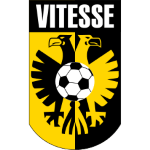 Prior to joining Olympique Lyon, he played for Ajax Amsterdam, Chelsea FC and Vitesse Arnhem. Olympique Lyon's number 10 is Bertrand Traore. He changed four clubs throughout his career as professional. 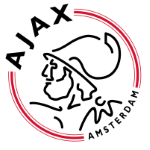 His shortest stay in a club was ten months in Ajax Amsterdam (Netherlands). Bertrand Traore's squad won 17% (0% home) in UEFA Champions League, lost 67% (0% home) in Int. Champions Cup and won 60% (80% home) in Ligue 1. The highest win streak of the last 5 matches happened in Ligue 1 with a count of 3. Besides Olympique Lyon, Bertrand Traore is at Burkina Faso's command, too. This season he scored 13 and assisted one goal which is 8.3% of all of Olympique Lyon's goals in UEFA Champions League 18/19. On average, he initialized 0.02 and hit the net 0.28 times per match this season which is a worse performance than last year's. Back then 0.38 goals and 0.14 assists per match have been achieved.